Most (and when I say most I mean 99.9%) of fashion wish lists out there all include at least one Chanel item. And that item is more often than not a Chanel 2.55 Flap bag. I have to admit that while I am a big Chanel fan, 2.55 is not on my list – there are so many copies and interpretations of the bag I would rather find other Chanel gems to salivate about. And that is never a problem! 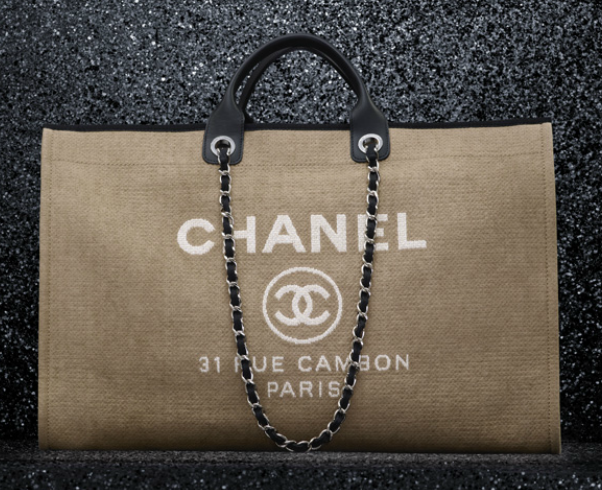 This season I have two favourite pieces from the new Chanel collection: Canvas Tote with Calfskin Trim and Logo (above) and Python Embossed Leather Evening Clutch with Clasp (below). Tote is a perfect modern twist to the classics – still so Chanel with the trims and handles. But at the same time the material choice is a paradox: ordinary canvas has never had a higher price tag all thanks to white Chanel logo stamped on its side. 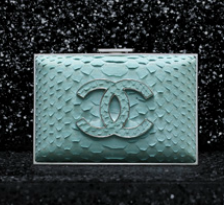 The second bag is on the other hand pure luxury – an evening clutch worth saving for special occasions. Beautiful spring/summer colour, python leather, silver logo and the most classic box shape: there is nothing else one can wish for in a perfect evening clutch. You are currently browsing entries tagged with logo at MY FASHION WISH LIST.